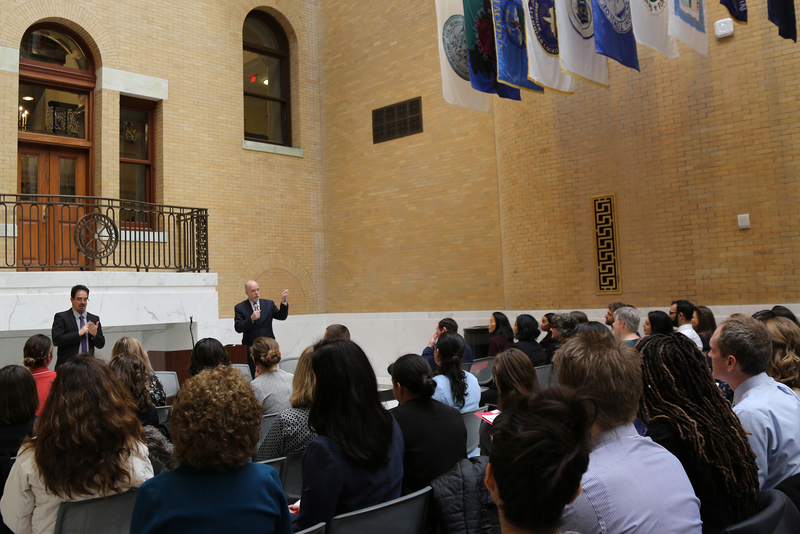 Over two whirlwind days in January, graduate students from seven Boston-area universities met with senior legislative and state administrative officials, as well as lobbyists and journalists, to get an inside look at how healthcare policy is created and implemented throughout Massachusetts. 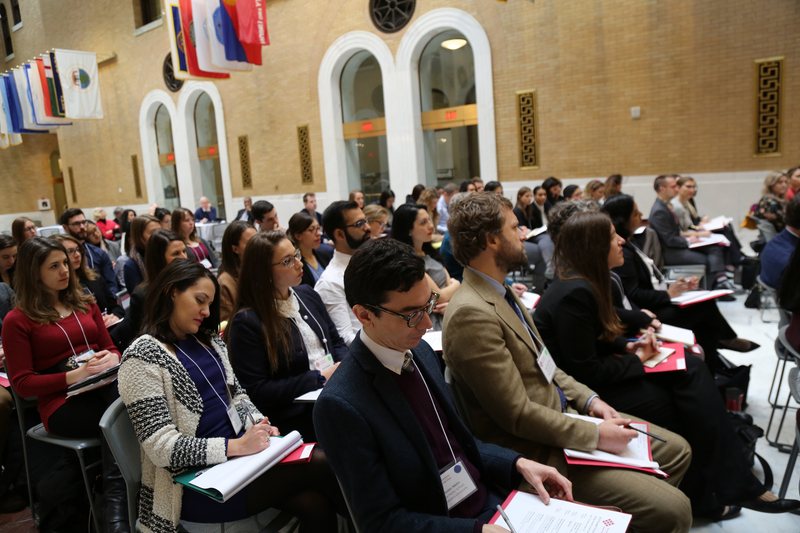 The MHPF, based at Heller, hosts the annual student forum for students in public health, medicine and health policy from Brandeis, Boston University, Harvard, Simmons, Northeastern, Tufts and UMass Boston. 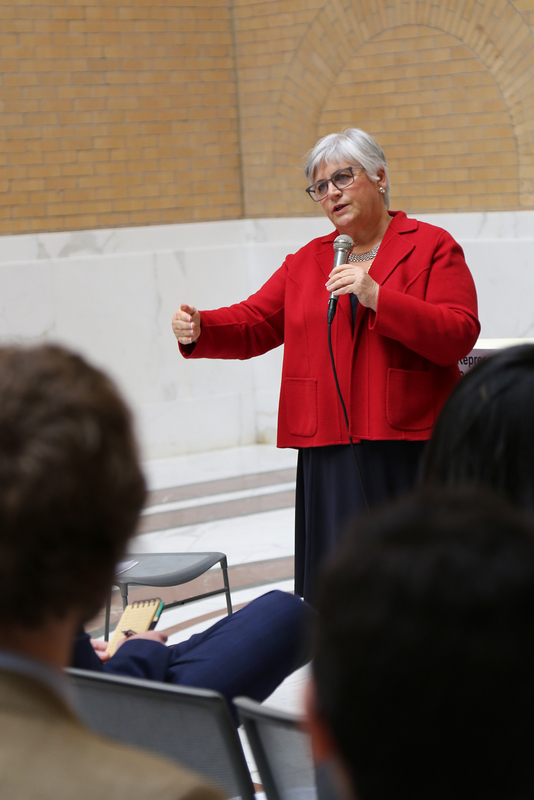 This year’s forum started at the Massachusetts State House, where Rep. Denise Garlick, Sen. Jim Welch and staffers shared the challenges of getting a bill passed through both chambers. Garlick spoke at length about her opioid bill, designed to expand access to medication-assisted treatment, which was signed into law in August 2018. 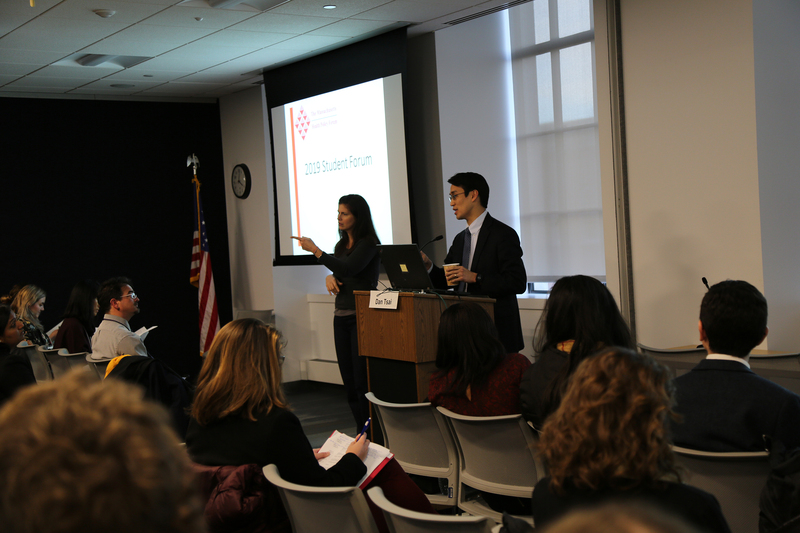 In the afternoon, the students visited the Center for Health Information and Analysis (CHIA), an independent state agency which collects data from state healthcare stakeholders and creates major datasets for policymaking and program oversight. 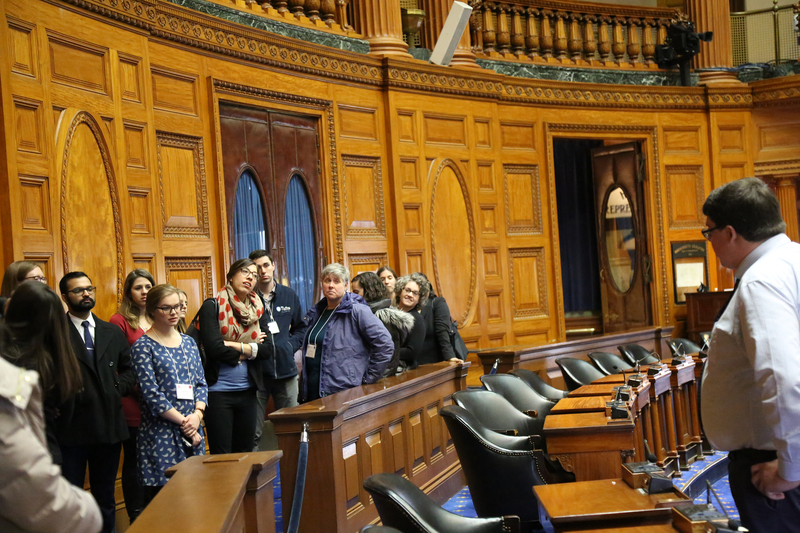 There, they heard its director and other agency leaders, including Heller alum Marissa Woltmann, MPP’13, director of policy and applied research at the Massachusetts Health Connector. During the evening keynote speech, Marylou Sudders, Massachusetts secretary of Health and Human Services, discussed the challenges of combating the opioid epidemic and providing health care coverage across the state. 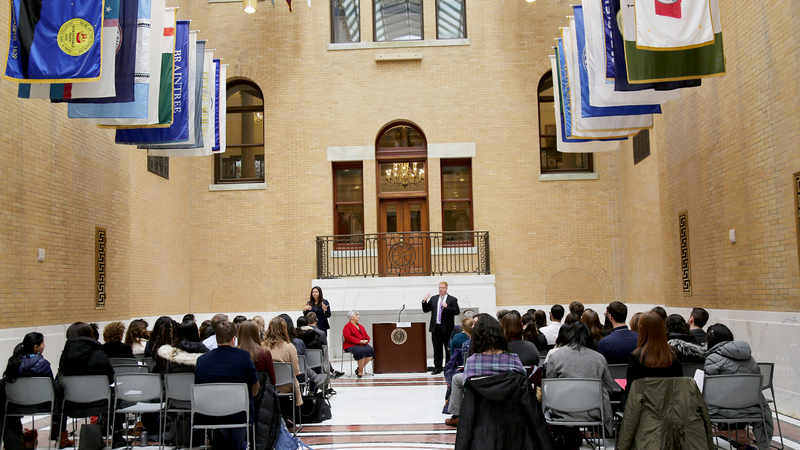 On the second day, students visited the departments of public health and mental health, where they heard from the commissioners and discussed the social determinants of health. They also heard from the other side as lobbyists and journalists offered their views on the system. Though the schedule was packed, the forum offered opportunities for networking with the speakers, fellow students and faculty members. 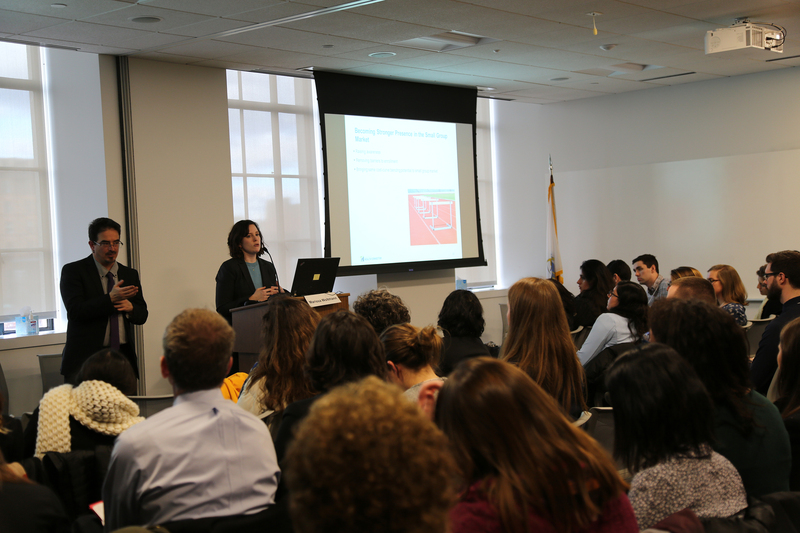 Tsai, who directs the Medicaid program for Massachusetts, encouraged the students to talk to him about job opportunities at his office, saying he’d hired a student he met at the forum two years ago. At the end of the two days, students were excited to put what they learned into action. That’s what Doonan wants to hear as the MHPF celebrates its 20th anniversary this year. 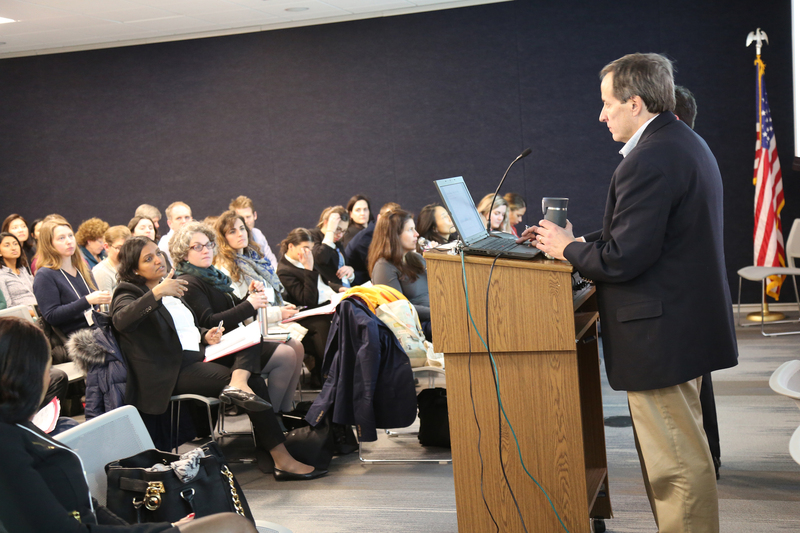 “Whether these students want to become policy makers, researchers or even the head of an agency one day, our hope is that this forum has opened their eyes to the types of personalities and experiences that enable people to succeed in those positions,” he says.